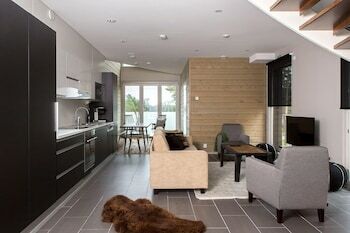 With a stay at Sandy Kelt, Irish House Apartments in Kalajoki, you'll be next to a golf course, a 3-minute walk from Coastal Nature Center and a 4-minute drive from Kalajoki Golf Course. Featured amenities include dry cleaning/laundry services, multilingual staff, and luggage storage. Free self parking is available onsite.